The 230V 11W GU10 Compact Fluorescent Lamp in warm white from Knightsbridge is an Ideal lamp to fit into the MR16 50W 12V Low Energy Fire Rated IP65 Shower Downlight. 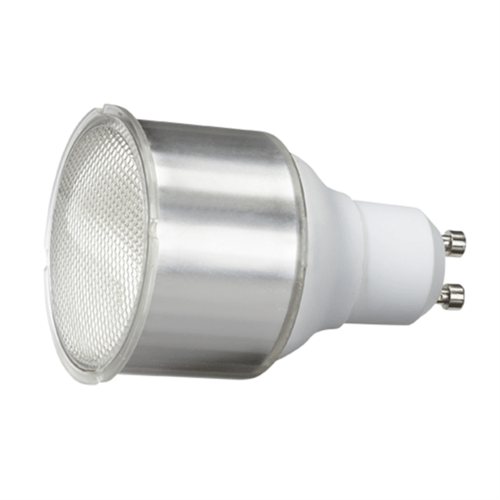 This Compact Lamp provides a Warm White light colour and will fit into standard GU10 Fittings, providing excellent A rated efficiency and a long service life. Note: This Lamp is Non-Dimmable.